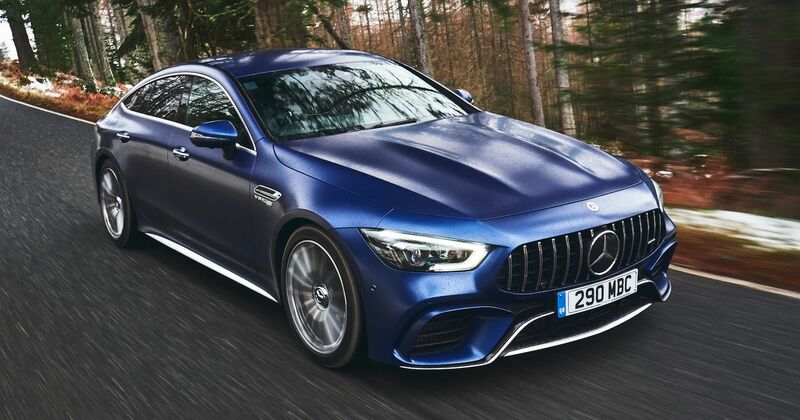 I’ve had a problem with the Mercedes-AMG GT 4 Door Coupe ever since it was revealed at the Geneva Motor Show last year. And that problem is related to the name. Let me break it down for you piece by piece, starting with ‘AMG GT’. There aren’t many physical links between this and Affalterbach’s long-snouted, rear-drive sports car: it’s an all-wheel drive machine sitting on a different platform, is suspended by air springs, and has a nine-speed torque converter auto at the front instead of a DCT on a transaxle. If you want to be really geeky about it (I do), it’s not quite the same engine: this has the wet-sump lubricated ‘M177’ 4.0-litre V8, not the more compact, dry-sumped M178. The ‘4 Door’ bit seems weird considering this car has a hatchback so is really a five-door, and I’m sorry, but the car industry’s continued sullying of the word ‘coupe’ just needs to stopped. When I finally rise to power, people will be imprisoned for thusly referring to anything with more than three doors. It’s the ‘AMG GT’ bit that’s been perturbing me the most, though. 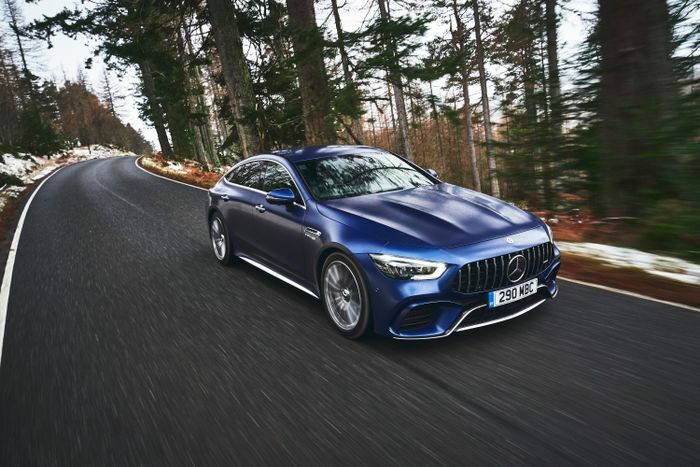 The connection does seem a little tenuous on paper - you have the same huge centre console as the facelifted proper coupe, a similar rear-axle steering system to the GT C and GT R (also optional on GT S in some markets), and, erm, after that I’m struggling to see a whole lot. Isn’t this - to borrow a bit of BMW nomenclature - like calling the Porsche Panamera a 911 Gran Coupe? Perhaps I’ve been thinking about this the wrong way. 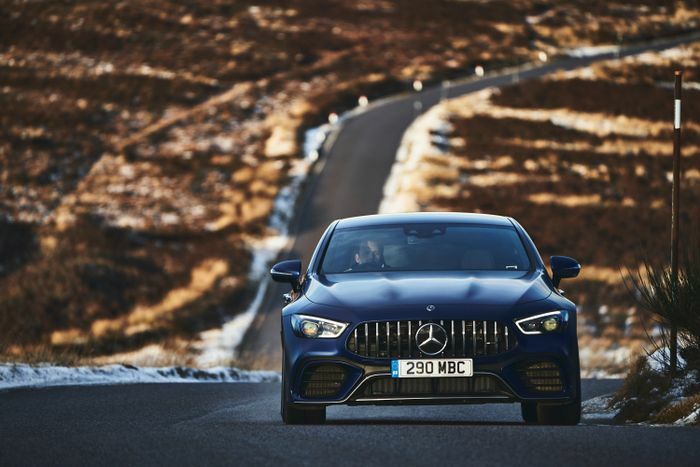 Perhaps, rather than transplanting a bunch of tangible things from the other GT into this more practical version, it’s more about the philosophy of AMG’s 911 rival being carried over. And after driving a 4 Door ‘Coupe’ 63 S in Scotland, I think they have, to an extent. It’s certainly dramatic in the powerplant department, something demonstrated particularly effectively by the launch control system. The whole thing violently shakes about as the revs are held, like a fire-breathing dragster just waiting for the Christmas tree lights to turn green. Lift your foot off the brake pedal, and the GT 4 Door 63 S hurls itself off the line, hitting 62mph in just 3.2 seconds. Not bad for a car that weighs 2120kg. I’ve lost count of the cars I’ve driven with this 4.0-litre twin-turbo V8, but I’ve loved this engine every single time. In the GT 4 Door it makes a fantastically brassy, angry noise, is responsive enough to stop you hankering after a bigger N/A lump, and has a wealth of torque starting very low down, meaning a rapid increase in speed is possible whatever gear you’re in. Speaking of which, the nine-speed automatic gearbox is a perfect companion for that V8. There are times when a dual-clutch transmission would be a little more obliging on downshifts, but this doesn’t happen frequently. And I’m a fan of the short ratios of the first few cogs - it means you can smash through a few gears under full acceleration before you inevitably have to back off. Some self-restraint is required here. Damping is on the whole exceptional, but surprisingly for an air-sprung car, it always errs on the firmer side of the equation, even in Comfort mode. The ride isn’t ever jarring, but however you’ve set the car up, it seems keen to remind you of its sporting pretensions. 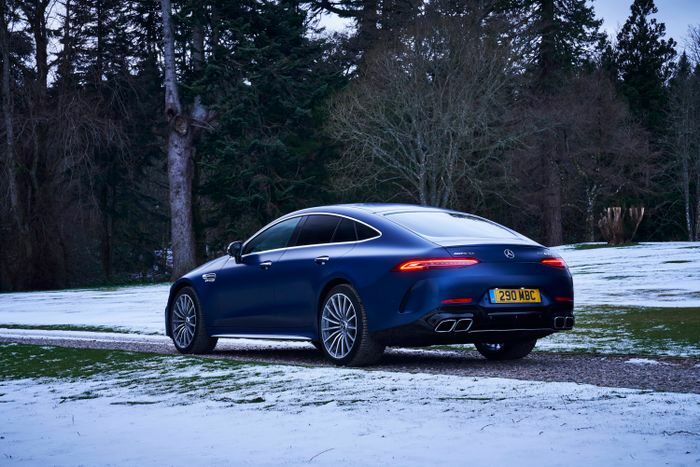 It’s also keen to give a nice little movement at the rear when traction runs out, which happened with relative frequency running on the greasy roads of Scotland with winter tyres. There is a familiarity to all of this, because the E63 S - one of the best things AMG makes right now - ticks a lot of the same boxes, and for a lot less than £135,550. But the GT 4 Door has a greater sense of occasion when you put your foot down, despite the power difference not being huge. There’s more immediacy from the front end, no doubt helped by that rear-axle steering. It hides its size and weight exceptionally well, on the whole. Dare I say it, maybe better than a Panamera. That’s something to figure out for sure another day. The 4 Door also has a couple of aces up its sleeve: presence and exclusivity. I’m still not convinced it’s an especially pretty car, but there’s no denying it looks purposeful and wickedly mean on the road. And while the average person on the street would struggle to tell an E63 apart from an E220d, there are no ‘lesser’ versions of this car for Joe Public to get mixed up with. They’re all AMGs, and they’re quite clearly cut above from their jumped-up executive car brethren. For many, this is surely going to be quite a draw. The name still doesn’t feel like quite the right fit, but I’m not sure that matters. 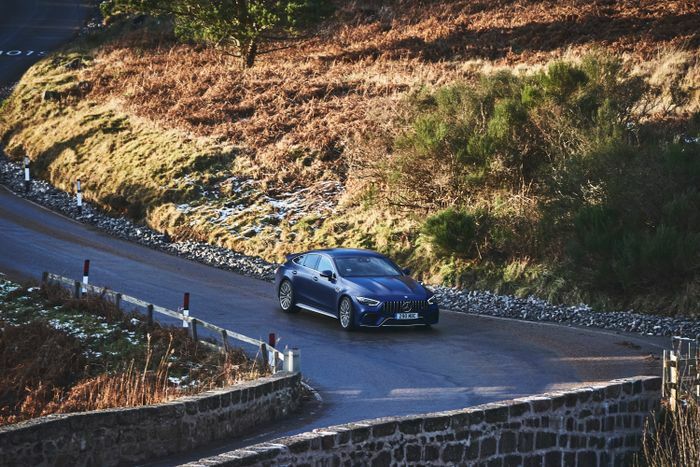 Look past it, and you’ll find a tremendous, ballistic and downright thrilling tourer that could just make you think twice about buying a Porsche Panamera. That seems like a big win for AMG.